After a long long haitus, I’ve been back doing Aikido training for 4 months now. Mondays we have a beginners class that i make a point of going to because I enjoy the instructor that teaches that night and I feel strongly about spending the time working on the basic building blocks of my art. It’s something i didn’t have the patience for before but now I feel that it’s an absolute necessity. I heard a classmate yesterday say something that was very profound, probably one of the most profound things I’ve heard on the mat. We were describing what “center” means to us, and more important, what we do with our center. She said simply that she feels the need to “surrender to center”. What this means to me is that center happens. “Center” is that element of myself that I cannot avoid. it is me, the good, the bad, the ugly. Therefore, I happen. I happen everyday, whether I am alone, with my lover, my son, my friends, my coworkers. Surrendering to center means that I need to embrace my demons, make peace with them and thoroughly love me for who I am. In Aikido, our techniques work much better if we have a partner that can take a good throw. Working with a good partner can be akin to finding a really good dance partner, someone who can take the energy you give them in your technique and do wonderful things with it. Or when your partner throws you, they can throw you in such a way that just feels right. Sometimes in our training though we get partners that don’t have as much experience than we do, perhaps they are not mentally on the mat that day because of something else going on in their lives. Maybe they are obstinate and will make it hard for you to throw them, or even worse, throw you harder than you are used to. It’s an interesting microcosm that the mat presents. “Surrendering to center” means that all i can do is my best when I’m throwing or being thrown. If my partner is uncooperative, inexperienced or over-experienced, these elements of my training are out of my control. I can only do the best that I can with the tools that I have. Everything else that happens will happen the way it was meant to. The lesson I can take off the mat, that seems to be repeated in my life is sometimes I have no control over other peoples actions, but I do have control over mine. 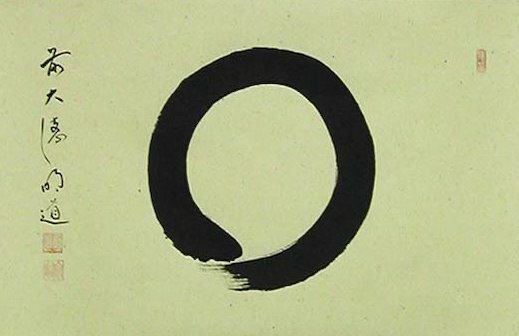 “Surrendering to center” allows me to do this, to blend and become ok with the inevitability of life, the future and whatever good or bad things will come my way. There are many terms where I’ve heard center used in similar context. “Move from center”, “find your center”, the concept in Wing Chun of “taking the center line of your opponent”, etc. But I’ve never quite heard “surrender to center”. Those three words have, in a moment changed, or rather solidify how I view Aikido, how I train and how I live.